The famous British raid on German dams during World War Two. In 1943, the Royal Air Force attacked a set of dams in Germany's Ruhr valley which were considered indestructible. Flying low and at night, the crews used special bouncing bombs to bring down two of their targets. The Dambusters mission was a huge propaganda success for Britain and later inspired a famous film. In 2013, Simon Watts talked to Johnny Johnson, one of the few survivors of the raid. 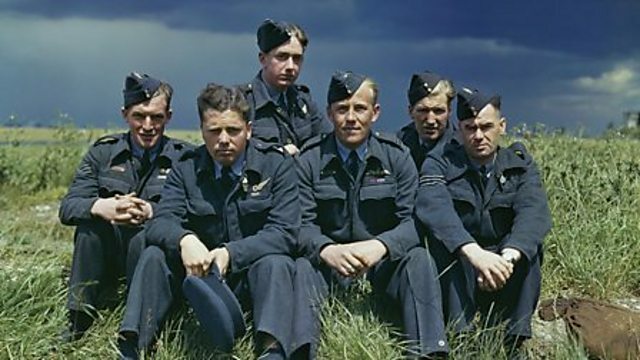 PHOTO: Johnny Johnson (far left) with members of his crew, part of 617 squadron (DAMBUSTERS) at RAF Scampton, Lincolnshire, 22 JULY 1943 (Imperial War Museum).